Velocity-matched photodetectors (or traveling-wave photodetectors) are devices which allow the detection of light with the favorable combination of very high bandwidth (tens of gigahertz) and very high photocurrents (tens of milliamperes). 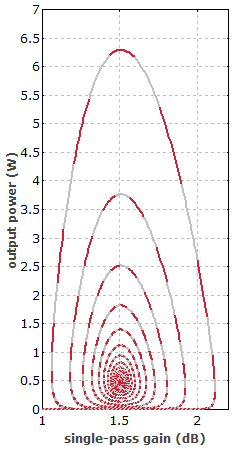 For conventional photodiodes, there is a trade-off between bandwidth and photocurrent. In velocity-matched photodetectors, this trade-off is eliminated by combining several small-area photodetectors, which are weakly coupled to an optical waveguide (so that each one absorbs only a part of the optical power) and deliver their photocurrents into a common RF waveguide structure. The propagation velocities of the optical and electrical signals are matched to each other so as to maximize the device bandwidth. Such devices are useful for microwave optics, e.g. for optoelectronic generation of microwaves or for microwave fiber-optic links.